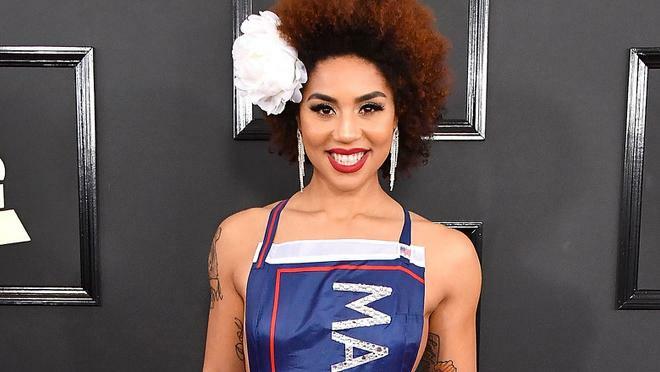 Singer Joy Villa makes a political fashion statement against Planned Parenthood at the Los Angeles premiere of ‘Unplanned,’ a film based on former Planned Parenthood clinic director Abby Johnson's book of the same name. 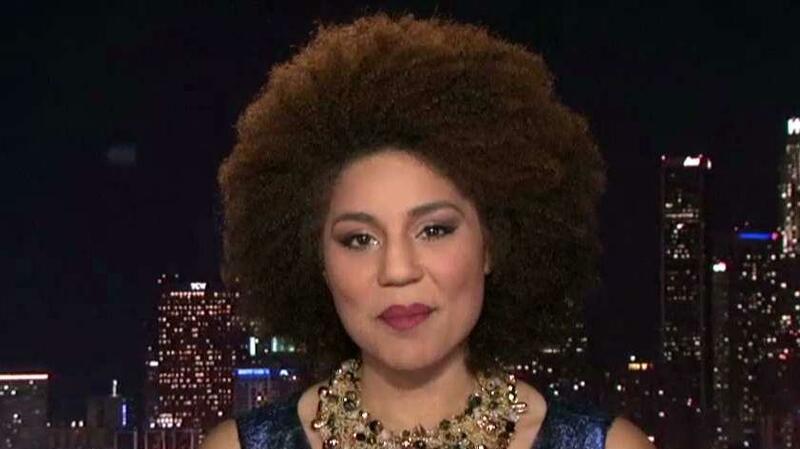 Joy Villa made another political fashion statement at the Los Angeles premiere of "Unplanned," a film based on former Planned Parenthood clinic director Abby Johnson&apos;s book of the same name. Johnson became a pro-life activist after resigning from Planned Parenthood in 2009, where she&apos;d worked for eight years. Villa said she got Johnson&apos;s input on her hot pink dress, which was emblazoned with little subtlety, reading "F—k Planned Parenthood." "I believe in women’s healthcare clinics, but abortion is not healthcare and Planned Parenthood has been pushing that and indoctrinating girls with pink and girliness," Villa told The Hollywood Reporter Monday of her Barbie-inspired ensemble. "Unplanned" spawned backlash for its R-rating from the MPAA, which some blamed on an anti-conservative bias. Villa, however, believes the restricted rating was warranted. “It does show an abortion, but it’s not necessarily, gratuitously graphic. Abby personally herself had two abortions. In one scene, she does it with a pill and she’s in the shower and blood is running down her legs and the pieces are coming out of her and she’s putting it in the toilet and crying," Villa said. "Then she’s on the ground screaming and crying. So in that context, it’s brutal and it’s violent. I think that an R rating makes it more notorious. I think you should be at least 14 or 15 to see it." In February, she dressed as a border wall at the Grammys. In 2018 she wore a pro-life gown to music&apos;s biggest night, and in 2017 wore a "Make America Great Again" gown on the red carpet. According to Billboard, after wearing her MAGA dress to the 2017 Grammys, she saw a spike of 15,000 sales of her "I Make the Static" EP, peaking at No. 12 for just one week before dropping off completely.